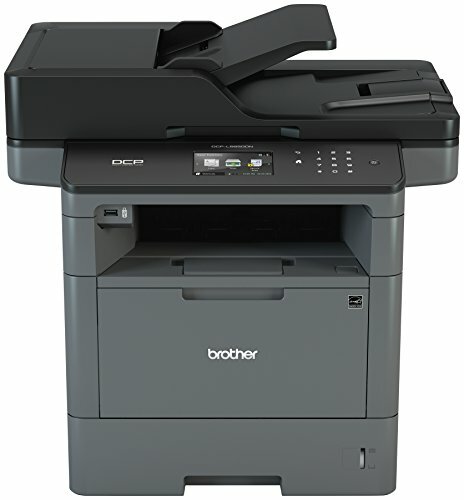 Help increase your productivity with a black print and copy speed of up to 42ppm. Easy menu navigation and creation of up to 48 customized shortcuts via 3.7" color touchscreen display. Plus, scan to popular Cloud services including Dropbox, Google drive, one note and more. 70-Page capacity Duplex auto document feeder scans both sides of the page in a single-pass for two-sided scanning up to 56Ipm (MONO). 250-sheet capacity paper tray adjustable for Letter or legal plus a 50-sheet capacity multi-purpose tray for envelopes or alternative media types. Total capacity expandable to 1,340 sheets with optional add-on trays.